If you are relocating to from London to Switzerland, but haven’t found a decent removals company you can utterly rely on, stop hesitating and start considering hiring Moving Service. You certainly will not be disappointed with our service. After all, we offer the best removal services in London. You see, we fully understand how much hard work it is to find a reliable removals company that you can trust 100%. That is why we are the right company for you. Unlike most companies, we have a full understanding of our customer’s needs and this has therefore made us one of the most popular removal companies in the area. We are aware that moving can be long and complicated. We know it is indeed time consuming. And this is why we want to help you. Moving within the country is hard enough, but moving out of the country is even harder. It can be quite challenging moving internally, especially single handedly. So why don’t you consider hiring us to help, by calling our office on 020 8746 4402. In addition, we will give you a free moving quote! 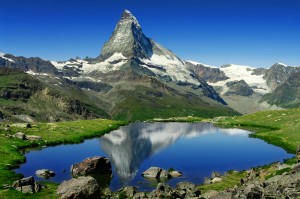 Switzerland is a country situated in Central Europe, bordering France, Italy, Germany, Austria and Liechtenstein. Switzerland is known for having rather cold, snowy winters and also, of course, for its mountains. It’s most famous mountains are the Alps and the Jura. There is so much to see and do in Switzerland that you will certainly never grow bored. Here is a list of must-sees: The Lavaux Vineyards, The castle of Chillon, The matterhorn, the castles of Bellinzona, the rhine falls, the lake lucerne, and so on. A swiss language does not exist and so people in Switzerland speak the Swiss German language instead. However, the most common language spoken in Switzerland is German and second to German is French. As for currency, because this country is not part of the EU, it is Swiss Franc. However, most shops do accept Euro. 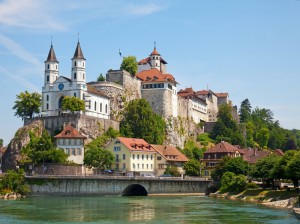 Moving Service can help you if you are moving to Switzerland. With our resources and expertise, we’ll make your international move as smooth as ever. You won’t believe how easy and enjoyable it will be. We know the strains of moving and it can be quite demanding on your stress levels. It can certainly raise your stress levels and that is definitely something you want to avoid. Moving is never simple. We know, we have moved numerous people over the years and we have had to cope with a number of stressful situations. This has sharpened our skills and now we know exactly how to deal with each and every specific situation. Moving abroad, however, is even harder than domestic moves because there’s so much more to think about, as you are moving to a foreign country. When you choose us to move with, you’ll be completely organised. That is because we provide each and every one of our client’s with a moving checklist so that you know exactly what to do before you move. We believe that the key element to a fast and efficient move is organisation. Without organisation, you are left with an unstructured, sloppy move that will indeed be stressful. We do all we can to make your move smooth and easy. We want there to be no hassles whatsoever and we work hard to prevent that from happening. So if you are moving from London to Switzerland, get in touch with us today to find out more on 020 8746 4402. Or, book a date today and get a free moving quote.